Rooting the Samsung Galaxy S4 Mini will give your Android operating system administrator permission like you would have with Windows operating system. It means you can play with the OS without any restrictions. Not having the restrictions gives you greater control over what you can install and have on your device — that’s the main reason for people wanting the root access. With the root access, we can install custom ROMs and change the device from the stock ROM that’s given to you. You can also install many more apps that can be fun, help you, remove bloatware, increase the performance and more. Download the rooting file for the Samsung Galaxy S4 Mini 3G GT-I9190 here or the Samsung Galaxy S4 Mini 4G LTE GT-I9195 from here. Download the Samsung USB Drivers you need from this page. Download the Odin flashing tool you need from this page. You can use any version. We recommend the Odin 3.04 or the Odin 3.07 for this device. However, they will all do the same job. These are the steps to root the Samsung Galaxy S4 Mini I9190 and I9195 and install CWM recovery. Download the rooting file for your device from the links above. Extract the folder and you should see the root.zip and the custom recovery (CWM recovery) inside the folder. Click, drag and drop the custom recovery from the folder over to the desktop. Don’t delete the root.zip. You need to use that after we flash the recovery. 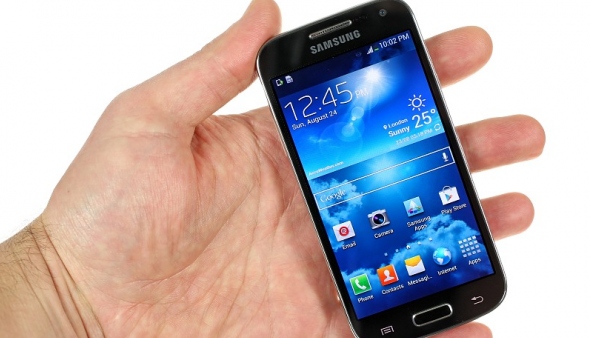 Long-press the Power button until you know the Samsung Galaxy S4 Mini is off. Reboot the S4 Mini of your choice from the model number above to download mode. Do that now by holding the Volume Down + Home + Power button together and do not let go of any of the three buttons until you see the screen change. Once you see the warning screen on the mobile, let go of the buttons. Press the Volume Up button just once and it will get you past that warning screen. The Odin tool will now change the color of the ID: COM port if the Samsung drivers are detected. Click the PDA button found in Odin. Click the AP button if you do not see any PDA — they both mean the same thing, just found in different versions of Odin. Browse the desktop for the CWM custom recovery file you transferred there earlier. Click the Start button you can see in the Odin tool. The tool will now flash that custom recovery on your device. You know it’s installed the custom recovery after you see the pass message on Odin’s display. Now it’s time for the rooting. transfer the root.zip from the rooting folder over to the internal storage SD card on your device. Unplug the Galaxy S4 Mini from the computer after you are confident you have the root.zip (still zipped) on the SD card. Long-press the Power button until it’s off. Now we are rebooting in the custom recovery mode. Press the Volume Up + Home + Power keys to get in the custom recovery. Navigate to the Install zip from SD card option. Browse the SD card for the root.zip file. Confirm you want to install that on the mobile display. If you cannot see any root.zip file when you browse the SD card, it’s probably because you transferred it in a sub folder. Connect to the computer again and make sure you copy and paste it in the root of the SD card. Now head back to the main recovery menu and choose the reboot system option. Lastly, you should install the root checker app from the Google Play Store. This part is obviously optional, but it will make it easier for you to understand if you have root or not. Once you know the root access is granted and you have SuperSU in the app drawer, you can install root-requiring apps from the Play Store. Furthermore, you can install custom ROMs on the S4 Mini now that you have a custom recovery installed. All you need to do is first learn how to boot the Samsung Galaxy S4 Mini into the custom recovery mode.